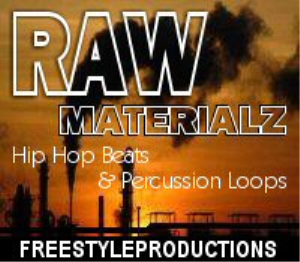 Beats: Over 400 new, original drum loops and beats with many different styles including: West Coast Gangsta Rap, dirty south, east coast styles, slow jam R&B, crunk beats and more with some top 40 sounding styles thrown in also, to help get your tracks on the charts. Sound FX: A collection of dound effects and single hit samples for rap, hip hop and r&b. Snare Drums: Created using a layering technique, along with different compressors and EQ's to supply you with some unique, crackin' snares. Bass Drums: Trying to get that fat kick drum sound like the pro producers use? We got you covered with some hot new, original bass drum sounds. Percussion Sounds: Tambourines, shakers, blocks, bells, zaps, rims, hits, congas, snaps and much more. Hi Hats: CRISP, CLEAN SOUNDING HI HATS TO ADD TO YOUR BEATS. CYMBALS: CRASHES, SPLASHES. EFFECTED CYMBALS, RIDE CYMBALS AND SWEEPS. 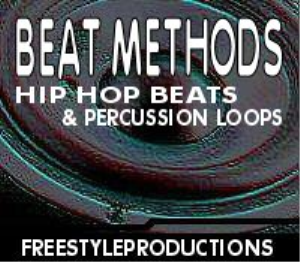 Percussion Loops: BONGO LOOPS, STICK LOOPS, BELL LOOPS, HI HAT LOOPS, PERCUSSION RHYTHMS, SYNTH PERCUSSION AND MORE. Claps: HOT, NEW, NEVER BEFORE HEARD CLAPS TO GET YOUR DRUM TRACKS SOUNDING JUST RIGHT. Shakers & More: ADD THESE TO THE EXISTING BEATS OR MAKE YOUR OWN ORIGINAL DRUM LOOPS WITH THE TONS OF ONE-SHOTS ON THE DISC. ALL LOOPS IN THIS LIBRARY ARE CATEGORIZED BY BPM FIRST, AND THEN TYPE OF LOOP. EXAMPLE: 85 BPM THEN DRUM LOOP, PERCUSSION LOOP ETC. EACH INDIVIDUAL LOOP IS LABELED WITH THE BPM TO MAKE MUSIC CREATION EASIER FOR THE USER. THE LOOPS ARE 100% ORIGINAL AND ROYALTY FREE, PREPARED SPECIFICALLY FOR TODAY'S POPULAR LOOP- BASED MUSIC PROGRAMS, SOUND EDITING SOFTWARE, AND ANY SEQUENCER OR SAMPLER THAT ALSO ACCEPTS THE .WAV FORMAT. THE LOOPS ARE 2, 4, 8, AND 16 MEASURES LONG. 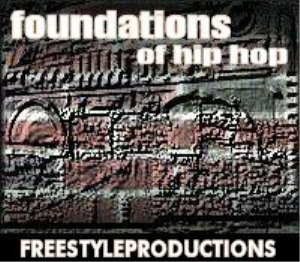 CLICK ON THE SAMPLE LOOPS BELOW TO HEAR 6 LOOPS FROM THE CD IN MP3 FORMAT. KEEP IN MIND THAT THE SAMPLE LOOPS BELOW ARE LOWER QUALITY THAN THE .WAV FORMAT FILES YOU WILL BE RECEIVING IN THE DOWNLOAD. IF YOU DON'T RECEIVE YOUR DOWNLOAD RIGHT AWAY IN YOUR E-MAIL INBOX AFTER PURCHASE, PLEASE CHECK YOUR SPAM FILTERS OR JUNKMAIL FOLDER TO SEE IF IT'S IN THERE. FOR SOME REASON, CERTAIN E-MAIL CLIENTS WILL PLACE THE DOWNLOAD THERE.